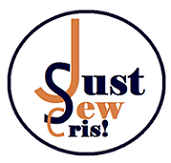 Blog Archives - Just Sew Cris! 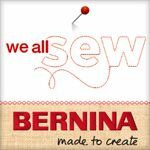 Get your sewing machine out and be prepared to sew fast and furious! Today we're helping you make Fast And Furious star Jordana Brewster's look for much less than what you'd pay to buy it. Jordana was recently active in the awards show circuit, announcing the People's Choice Awards nominations and participating in the show as a presenter. Have you ever wondered where costume designers for the movies buy their fabric and materials? We have. So after reading a few articles, we decided to do a little research. We came up with a list of 4 to share with you. Have you ever wondered why couture and special occasion dresses are so expensive? Well today's Video Of The Week will give you a glimpse inside the making of a couture gown. It will help everyone appreciate the attention to detail that goes on behind the scenes. Just by watching this video from Nigel Chia, we see that it must take an extreme amount of time and effort to hand sew all the beading and sequins. Hence the reason for the exorbitant pricing. Now that you can appreciate it, why not try your hand at it? All it takes is a swatch of fabric and a pack of sequins. We'll try our hand at it, hope you will too. It might not officially be a trend yet but don't tell that to Chrissy Teigen and John Legend. The couple posted Twitter and Instagram photos of themselves in chic KFC and fire patterned onesies. You can get in on the trend by making one yourself. We'll point you in the starting direction. If you're in the market for a new sewing machine, or just an experienced sewer, tell us what are YOUR must-have features! Congratulations are in order for Tracee Ellis Ross. She won her first Golden Globe Award...Best Performance By An Actress In A Television Series - Musical Or Comedy. Very fitting that she seems to be headed down the same path as her infamous Mother, Diana Ross. It's a family affair. We know her for her acting on Blackish but did you know she can sing too? We caught a clip of Tracee Ellis Ross singing with her mom, Diana Ross on her website. Not too bad. Next up on the blog.... a post on Golden Globe winner Tracee Ellis Ross. So we thought it only befitting to dedicate this Video Of The Week to her. Check out this video of her describing her style and opinions on style. "I am a what makes you feel beautiful advocate." After watching all of the movie trailers for the Golden Globes nominated films, We've decided to start a new series here on the blog. We'll be posting reviews on movie trailers. First up, designer Tom Ford's Nocturnal Animals. We're back with another post on the 2017 Golden Globe Awards. This time, we're bringing you a quick take on the trends we spotted on the red carpet. First up...glitter and beads. Our favorite. So who was in on this trend? Janelle Monae and Naomie Harris both wore Giorgio Armani Prive dresses that sparkled with glitter and beads.